From a consumption perspective, many would argue that there’s never been a better time to be a shopper. That’s because there’s something for everyone and every taste. And when it comes to nutrition, 37% of Americans say they’re following a specific diet this year, which is up from 35% last year and 29% in 2016. And with consumers narrowing their foci, brands and retailers need to stay tuned in—or risk missing out. Once convenience is tossed into the mix, consumer choices expand into an ever growing universe of new, different or better. The food category has become ‘complicated’. Retailers persist in showing customers pictures of products on sale with no ‘why behind the buy’ story to give context to the purchase decision. Retailers who do educate before selling, gain predictable and consistent profits. Content marketing has been tested and proven to outperform any other marketing program using sales circulars or ads. That’s the good news for retailers. This is the most fertile area for growth these days. Amid the various nutrition programs on the market today, plant-based diets are gaining particular prominence. Notably, a Nielsen Homescan survey last year found that 39% of Americans are actively trying to eat more plant-based foods. 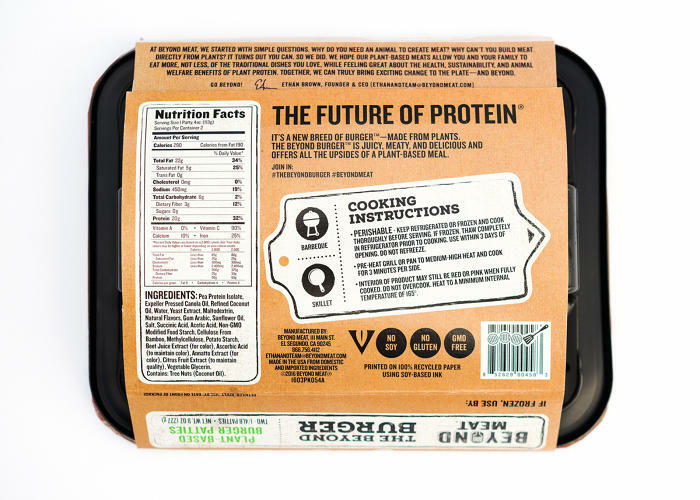 To meet their goals, however, many shoppers aren’t looking to traditional plant-based staples like tofu, brown rice and granola. In fact, sales of traditional plant-based options were down 1.3% in the year ended April 7, 2018. That’s not to say that growth in plant options is absent, however. Within the plant-based food space, innovation is booming, and an array of plant-based alternatives are posting significant sales growth. African Americans are 48% more likely than the average U.S. consumer to incorporate plant-based foods. Asian Americans are 47% more likely than the average U.S. consumer to incorporate plant-based foods. Hispanic consumers are 46% more likely than the average U.S. consumer to incorporate plant-based foods. Caucasian Millennials are 47% more likely than the average U.S. consumer to incorporate plant-based foods. From a total store perspective, plant-based food options are no small potatoes. As of 2017, 19.5% of food and beverage dollars came from products that met a plant-based diet. And as a result of consumer interest, vegan (which excludes produce) and produce sales growth is outpacing total food and beverage sales. In addition, vegan and produce options increased their dollar share by nearly 2% between 2014 and 2017. Vegetarian and vegan offerings aren’t limited to solid foods, however, as most of us are well aware of the rise in dairy alternatives, particularly milk substitutes. And from a consumption perspective, Americans are going nuts for almond milk, which has posted a three-year combined annual growth rate of 8.2%. Whether it be due to health, ethics or sustainability, the proportion of U.S. consumers that adhere to a vegetarian or vegan diet is growing. 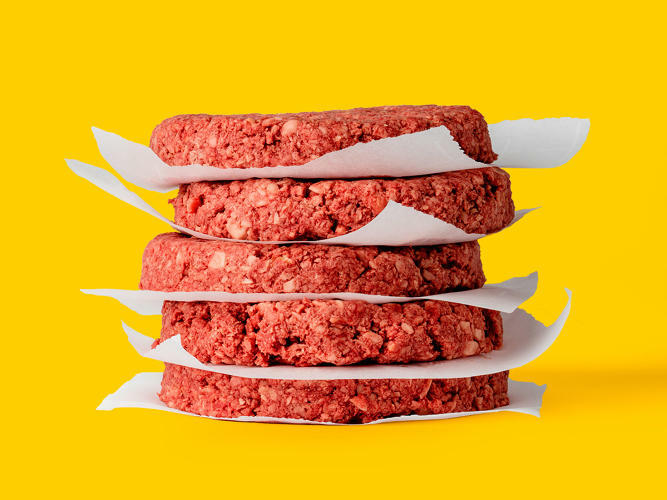 And that presents notable opportunity for brands and retailers looking for ways to capitalize on specific needs and desires among consumers opting for plant-based food and beverage options, particularly in cases where no or few options currently exist. Since we’re not interested in putting a man on the moon anymore, it’s a good thing somebody has been paying attention to a much bigger ambition. Saving ourselves from extinction. It looks like we may have a way to eat our way out of trouble. 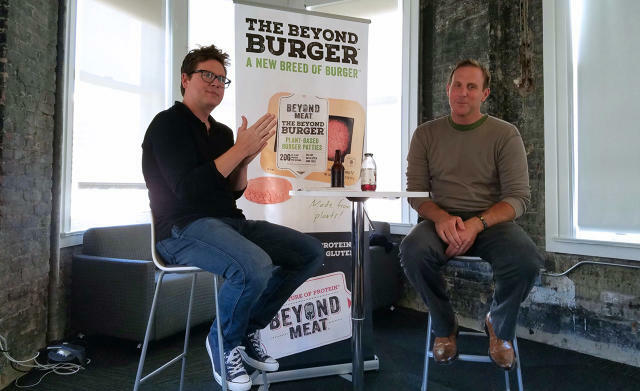 Ethan Brown, founder of Beyond Meat, says that the key to creating a meat-like experience using plants is replicating the composition of real meat: its protein, fat, and water. Our friends at Green Kitchen Storie created this salad in collaboration with Swedish/Italian family company Zeta. They are launching a new range of organic whole grain mixes . Since grains can be a little colourless, they asked Green Kitchen Stories for a delicious recipe that looked stunning (no pressure, right). Luise and Elsa share a deep love for Italy and Italian flavours and they truly indulged in that while creating this salad. The grains add a nourishing base for this salad and they are tossed in pesto for extra flavor. They add sunchokes that are roasted until buttery soft and mix with thinly sliced raw, crunchy chioggia beets (aka candy cane or polka beets) and radishes. Of course they threw in some mozzarella and pine nuts (influenced by Italy! ), and added red grapes for sweetness. All in all, it’s a real beauty of a salad, it is very nourishing and tastes just as good as it looks. The idea of mixing chioggia beets with radishes for a colourful kick is shamelessly inspired by some of the salads in Erin Irelands instagram feed (worth checking out btw!). Preheat the oven to 200°C / 400°F. Rinse and brush the sunchokes (don’t bother peeling them) and cut them in 5-10 mm (1/4-inch) slices. Place the slices in a bowl, drizzle over olive oil and toss them until everything is covered in oil. Spread out the slices on a baking sheet covered with baking paper. Roast for 30-40 minutes or until soft with crispy edges. Meanwhile, cook the grains in a large sauce pan filled with salted water, following the cooking time on the package. Drain any excess water and scoop the grains back into the sauce pan. Stir together the pesto dressing and pour over the grains in the sauce pan. Make sure they are all covered and then pour the grains out onto a wide plate or salad bowl. Layer with sunchoke slices and torn mozzarella chunks. Use a mandolin (or sharp knife) to shave the polka beets and radishes very thinly and spread on top of the salad together with pine nuts, grapes, rucola/arugula and basil. 1.Slice Tomatoes place in a bowl with salt , pepper ,a drizzle of EVOO and Balsamic Vinegar .Cover and refrigerate at least an hour. Slice onions ,place in skillet with butter and EVOO,add salt and pepper, saute until golden brown.Remove from skillet and let cool. Slice zucchini and squash in circles, add to skillet , saute about 5 to 10 mins. in EVOO, add salt and pepper. Remove from heat and let cool.Remember it is important to flavor every layer. Salting the tomatoes and letting them drain before adding them to the tart ensures that your tart ends up intense and jammy instead of watery. 2.Preheat oven to 400 degrees F.
Brush the bottom and side of a 9-inch tart pan with some of the melted butter. For crust, unroll phyllo dough; cover with plastic wrap. Remove one sheet of phyllo and lightly brush with melted butter. Place a second sheet of phyllo on top, placing it at an angle to the first sheet; brush with butter. Repeat with remaining phyllo sheets one at a time, placing each at an angle to the previous sheet to form a circle and brushing each with butter. Using a wide spatula, transfer the phyllo stack to the prepared pan, carefully easing it into the pan and allowing some of the phyllo to hang about 1/2 inch over the edge of the pan. Make two slits in the center of the phyllo stack for steam to escape. 3. Bake in preheated oven about 8 minutes or until phyllo is light golden brown. Cool on a wire rack. Reduce oven temperature to 325 degrees F.
4.Meanwhile, drain the tomatoes, reserving 2 tablespoons of the marinade. Set tomatoes aside. In a large mixing bowl, mix the Ricotta cheese with fork until smooth. Add feta cheese, herbs, lemon zest ,mix well. Add eggs,mix just until combined (do not over mix). Pour mixture into crust-lined pan. 5. Add the carmelized onions to the top of the ricotta and drizzle a tablespoon of the tomato marinade on the onions . Begin placing the tomatoes around the outer edge of the tart pan,continue to fill in. Place the zucchini and squash in a similar pattern( see photo) until the tart is completely filled in.Drizzle with the remaining marinade. 6. Bake for 15 to 18 minutes or until center is soft-set and edge stays firm when gently shaken. If necessary, loosely cover the edge with foil the last 10 minutes of baking to prevent overbrowning. Cool in pan on a wire rack. Remove from pan,if desired, let tart stand at room temperature for 30 minutes to bring out its fullest flavor. If desired, garnish with fresh herbs. Cut tart into wedges. Makes 10 servings. This wonderful simple tart is always a crowd pleaser. I constantly get asked “what’s in it ?” or “Tell us how to make it!”. Heirloom tomatoes are some of the most impressively colorful fruits out there. They range from dark purple to sunshine yellow, and can be as small as a Roma tomato or as big as a navel orange. You’ll find the best ones at the best prices in July and August when they’re in season, but no matter when you get them, use them quickly. Their shelf life is shorter than that of their classic red brethren. If you can’t find heirloom tomatoes in your area, you can make this recipe with Roma or plum tomatoes instead. Here it is… I LOVE to cook for others and am an avid fan of the local foodie movement . A little back history on my love of food..I was fortunate to have grown up in a time where the kitchen and gathering together for meals was an important daily activity. We prepared a well rounded variety of styles of cooking from around the globe. We grew some veggies, herbs, scratched baked everything,made our own sauces and jams,etc. My grandmother had me washing rice and helping prepare meals ever since I can remember. Fresh as can be (luckily Grandma worked for a major Produce vendor) was Grandma’s way. Watching Julia Child, the Galloping Gourmet and Jacque Pepin were my visual food influencers as well. Fabulous Foodie Fridays Celebrates…Cinco de Mayo, or “the fifth of May” in Spanish, is a day to celebrate Mexican heritage and pride. Not that I need a reason to make my favorite Mexican recipes. With a family of 4 that includes a gluten free vegan, a teenager that prefers her meals out of a box and 2 in between, preparing a meal can be a challenge. One of the things I like best about Mexican cuisine is you have so many options that can be made unbelievably delicious without meat (and gluten free), family and friends won’t give it a second thought.